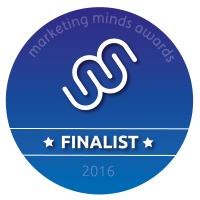 1 Events Media, the Blackburn based host of North West business networking events, trade exhibitions and awards has been shortlisted as a finalist in the 2016 Marketing Minds Awards, which will be held on Thursday 21st April at Cranage Hall in Cheshire. The company, which itself hosts the annual E3 Business Awards and a busy programme of business-to-business networking events, was named one of four finalists in the category of ‘Integrated Campaign of the Year’. 1EM’s nomination centred upon its marketing of last year’s E3 Business Awards and a multi-channel campaign that utilised both conventional and digital media. More information about the Marketing Minds Conference and Awards, including a full list of finalists, can be found at www.marketingmindsconference.co.uk.